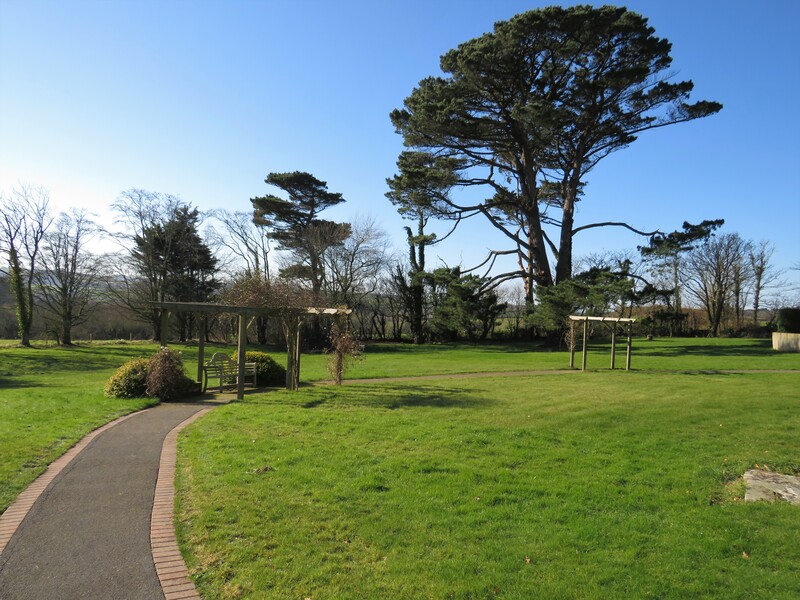 Heron's Lea – A care home in Westward Ho! 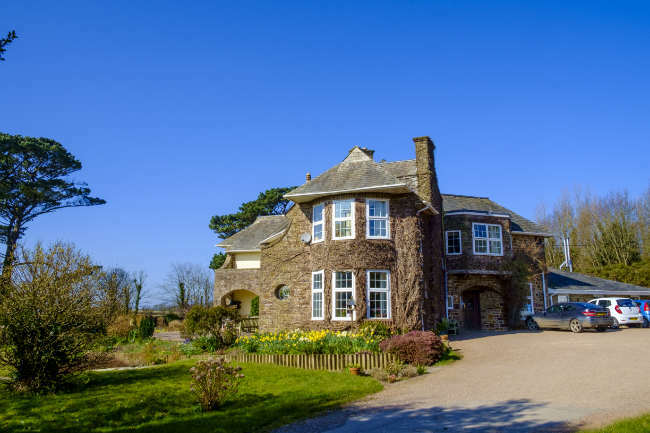 Situated near Westward Ho! 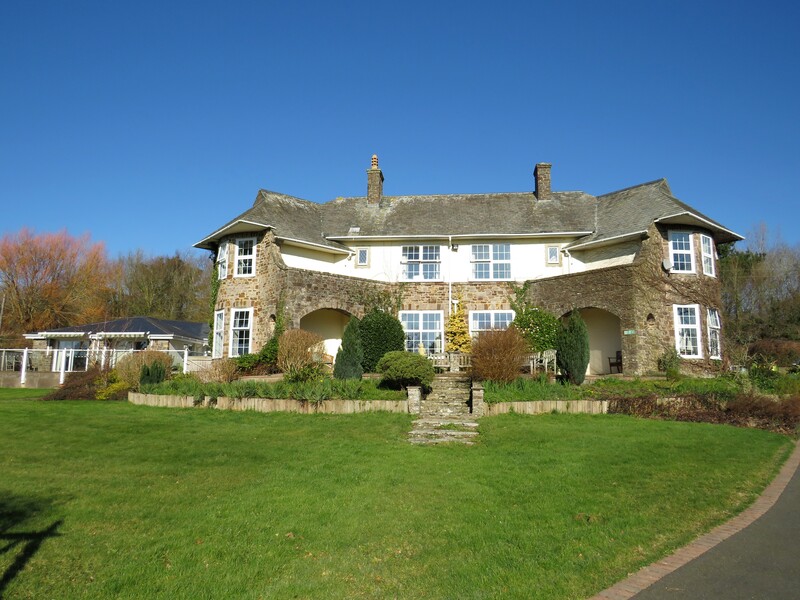 in North Devon, Heron’s Lea is a large detached home built in 1924. 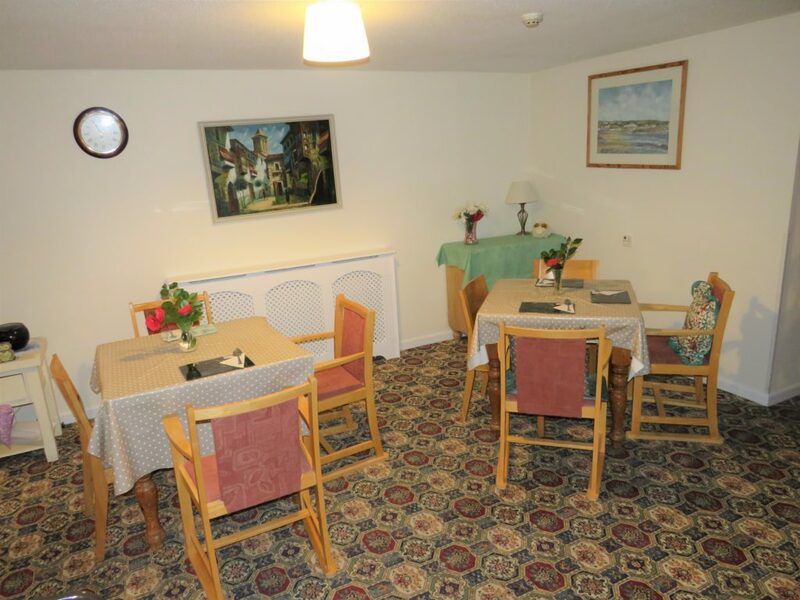 "Heron’s Lea is a family owned and managed Care Home with a genuine warm and happy atmosphere. Our aim is to enhance our older clients’ quality of life in their latter years by providing individual care to a very high standard, and to ensure they feel their privacy, dignity and personal choice is maintained as far as possible." 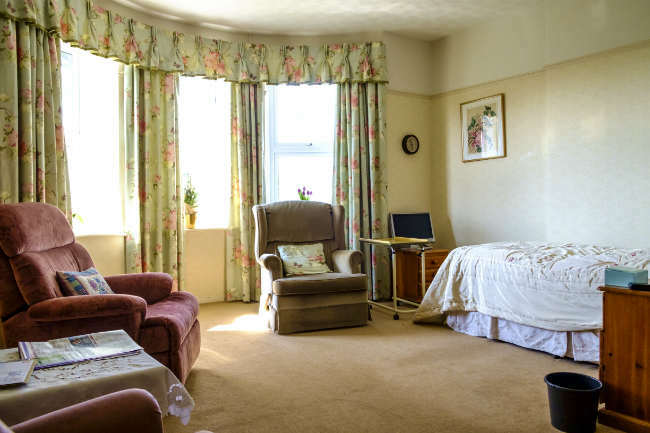 Our residential care home has an excellent selection of spacious rooms, all superbly decorated in ‘homely’ designs with bright colours and fittings. 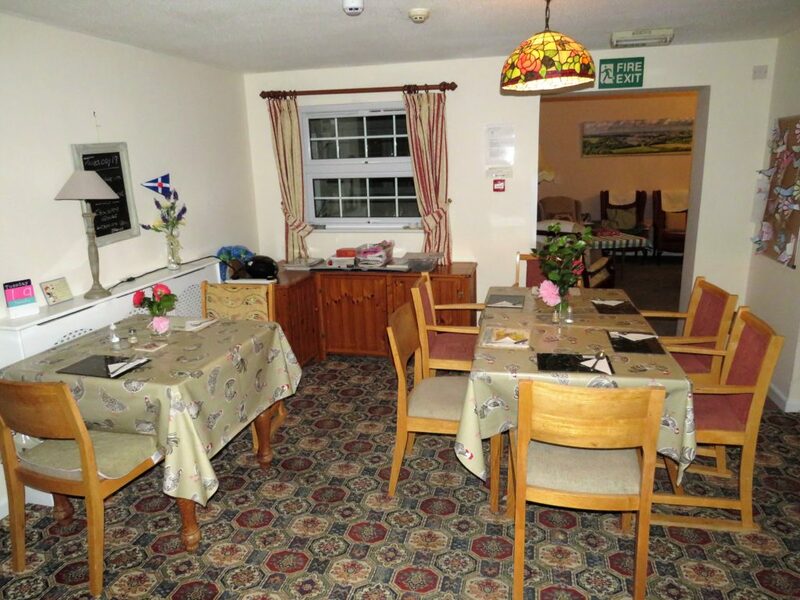 The rooms are all fitted with television points, WIFI Internet, alarm call points and a fully addressable fire alarm system installed in March 2019. 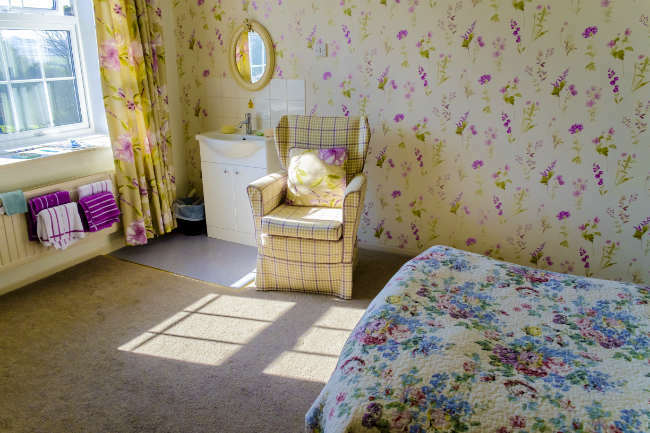 Ten bedrooms have en-suite facilities and the remaining nine all have wash basins. important when settling into a new home. 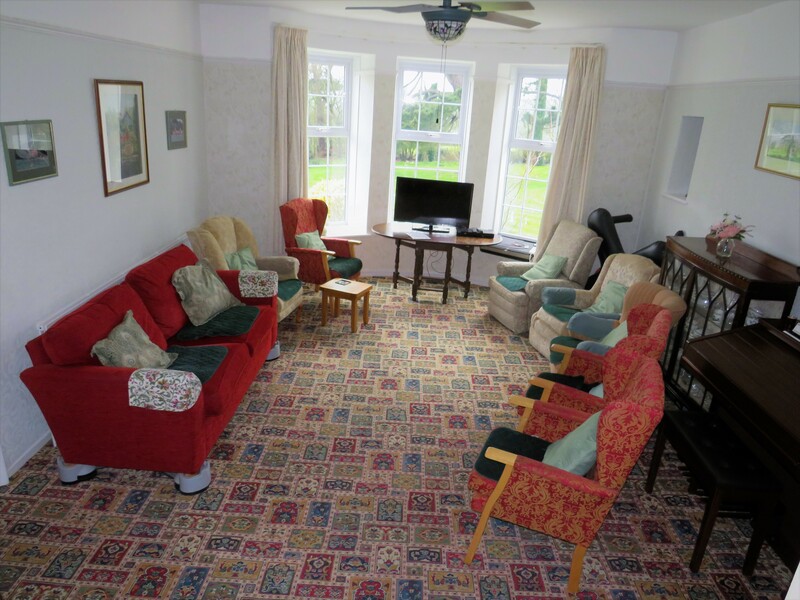 Here at Herons Lea, we have two beautiful large lounges, both with wide screen TV’s and reading areas. We have three modern unisex wet rooms / shower rooms and three unisex toilets throughout the property. We use specially adapted disabled equipment including mobile hoists for immobility. We also have chair lifts to reach the first floor. basis, massage (by a local sports therapist) on a fortnightly basis and chiropody once every six weeks. consideration and special diet requirements are catered for. 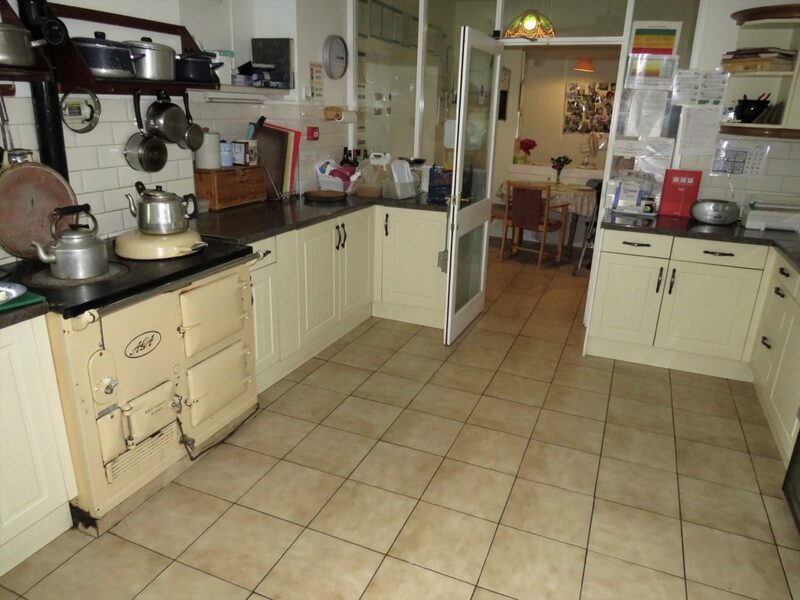 delightful aromas permeating through the front door. 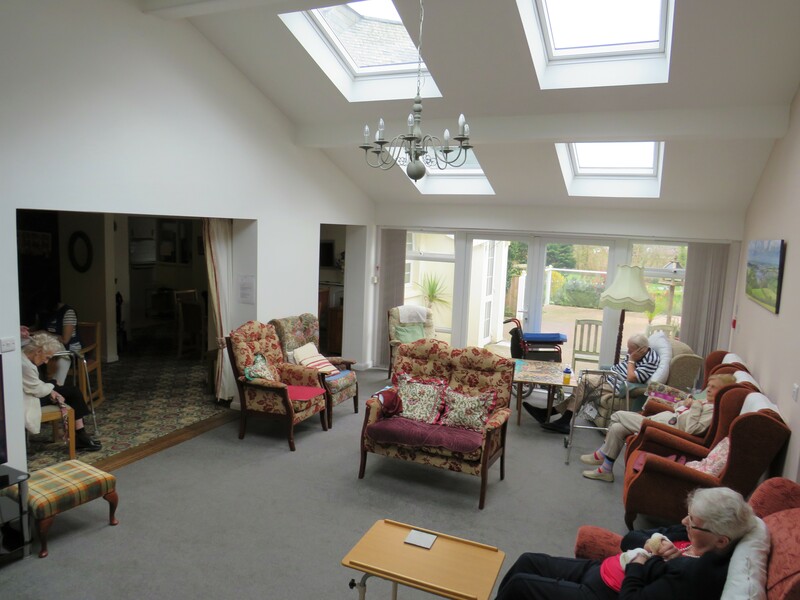 Here at Herons Lea we have entertainment or activities both in the morning and afternoon daily. This includes mostly In-house entertainment and once, sometimes twice a week we have external entertainment that come and visit us. Some of these include singers / chair aerobics / entertainers / art & craft workshops / mobile clothes shop / even alpaca visits and much more. In the sunny seasons we like to organise trips out to places of interest. 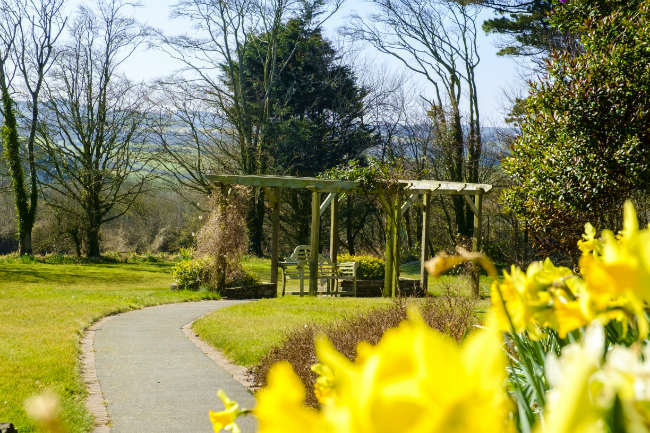 These include North Devon garden centres / Fremington Quay / One of our many beautiful North Devon beaches / Torrington Common (With a delicious Hockings icecream ofcourse). To name a few. Staffing is another extremely important asset we are proud of. Consisting of our Registered Manager, Linda Fletcher, who joined us in 2011 and the 35 kind, efficient and conscientious members of staff. 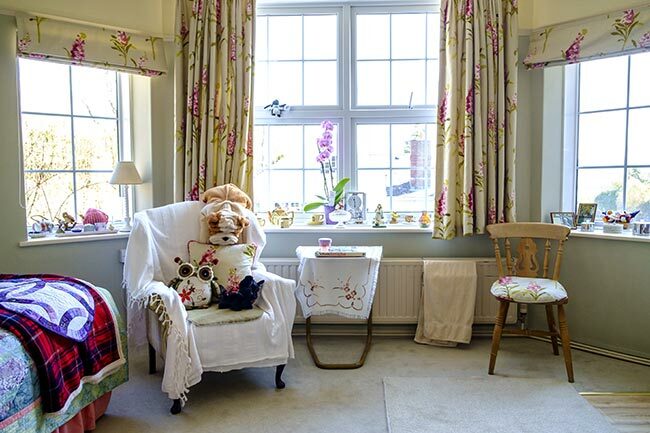 Some have been with us since 1994 when we opened as a Care Home. We firmly believe in taking care of our staff by rewarding their personal achievements and enhancing their training. Most possess NVQ 2-3 in Care and some are SEN qualified nurses. 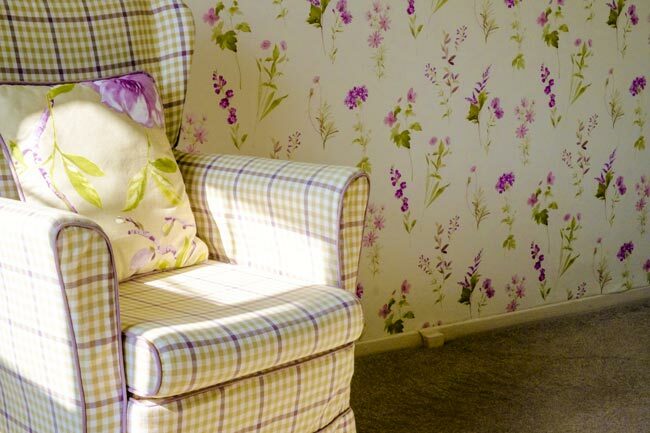 Residents’ can guarantee a happy smile when they wake and again when their day is drawing to a close. Customer care is extremely important to us all and the genuine interest and well-being of our clients is paramount. We are open 52 weeks per year and staffed 24 hours each day. For current fee rates please contact Anita Dymond using the contact details below. Bude/Camelford. Follow this road for 1 mile, taking the right hand turning, signposted Westward Ho! post at end of drive). 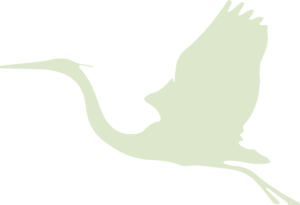 Heron’s Lea is the last detached property.